The price of gold (GOLD) was very bullish in January of 2019. As a good habit we review gold’s monthly chart on 20 years as the shortest long term gold chart timeframe. With a decisive break above $1300 the path to the crucial $1375 level which we defined in our gold forecast 2019 is now cleared. 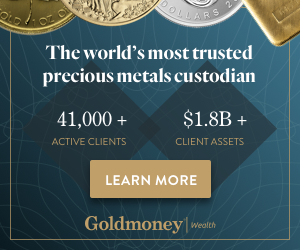 THE most important test of 2019 for gold and the whole precious metals market is now near. What can we read into gold’s monthly chart that may forecast precious metals markets trends? Gold has multiple faces so it requires a very contextual interpretation. In January it suggested bullish momentum driven by the safe haven trade. We would not read more into gold’s rise. It may or may not lead to something big, a new bullish uptrend, but we are not there yet. What will really make a difference is gold breaking above $1400. That would be a game changer. It would put an end to the almost 8 year bear market which started in Sept 2011. It would also send gold stocks ballistic, for sure our top 3 gold stocks and silver mining stocks (SIL) with First Majestic Silver (AG) as the bellwether stock. We are close to that point though. Gold will have to go through a major test first: the $1350 to $1400 area, as seen on chart below. Ultimately, if gold does not break above it, it is likely going to suggest a sideways trend has started. This, as well, can be simply deducted from chart below. Unsurprisingly, not any of this is told by media outlets, as seen on gold’s news feed. Note the critical price points on the chart for bullish momentum vs sideways consolidation in the next few weeks and months. Especially the giant resistance (green bar below) is the $1350 to $1400 area, and gold is just 3 pct removed from this area.